The first time I ever experienced yoga was in high school. I had a membership at my local YMCA and would attend some yoga classes on Sunday. I remember enjoying it and feeling really good afterward, but I wasn’t really checking for yoga that much. I’d participate in many classes as long as it meant I didn’t have to spend 30 minutes bobbing along on the elliptical machine. The first time I fell in love with yoga was when I was in college. I would normally take a form of dance each semester, but decided to indulge in yoga because I remember I thought it’d make me feel more at peace. To this day, I’m so glad that I took that class! It was so popular and was so packed but I always felt so great. There was also a great sense of support from friends who were in the class and the teacher. Taking a semester of yoga in college compared to taking a 45 minute class at the Y was moreso about overall wellness and not just the physical. We learned to look inward, discussed nutrition and recipes, and even practiced inversions. I took so much from that class and was so determined to continue practicing yoga. 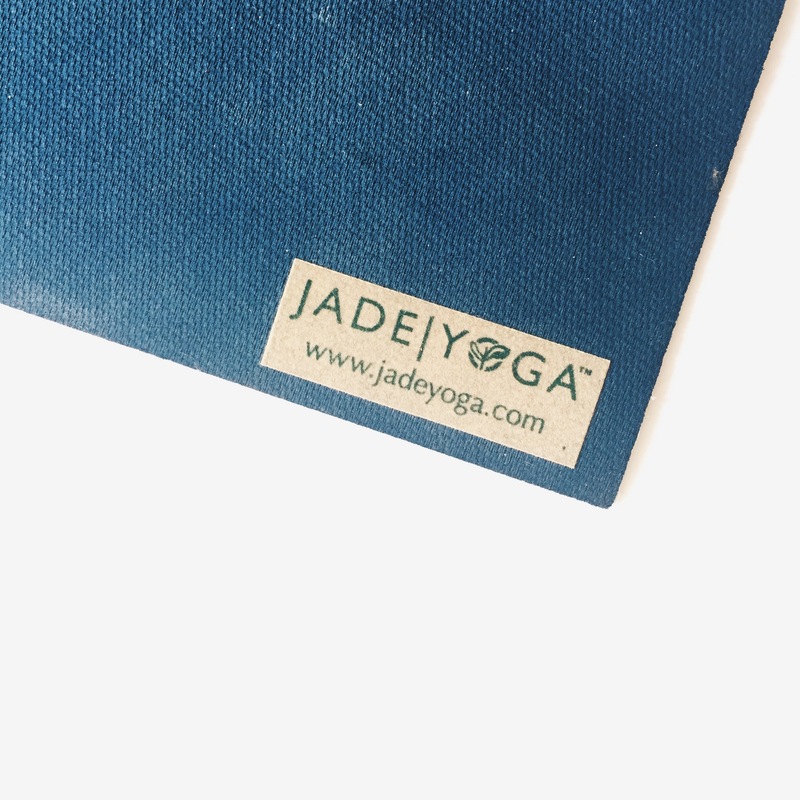 During that semester I invested in this amazing mat from Jade Yoga, which is perfect in its thickness and doesn’t have me sliding all over the place like the cheaper mats do. Now, even though I am still not as consistent as I’d like to be, I try to take some time if not to physically practice movements, then to sit down for a second and focus on my breathing and turning inwards. My favorite YouTuber to practice along with is Yoga With Adrienne. I also follow Yoga Racheal and Jessamyn on Instagram for inspiration. What about you? Have you ever taken a yoga class? What did you think about it?